Designed by French architect Bertrand Balas in 1970, “Here Comes The Sun” pendant is now being reproduced for our great pleasure! 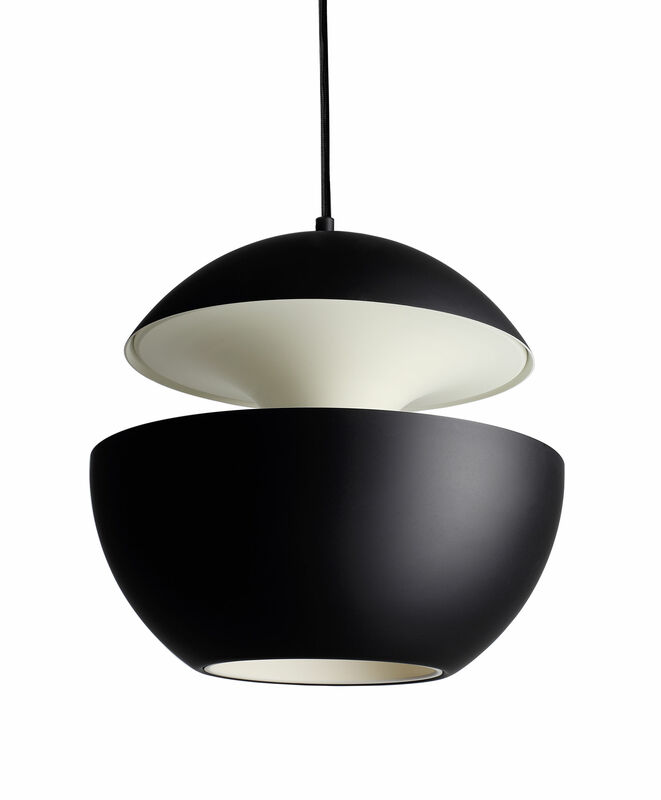 This truncated sphere hanging in the air is like a mysterious star fluttering in space... The sculptural Here Comes The Sun features an aluminium lampshade and a textile cable. The formal dialog between the inner and outer side of the shade is absolutely amazing! 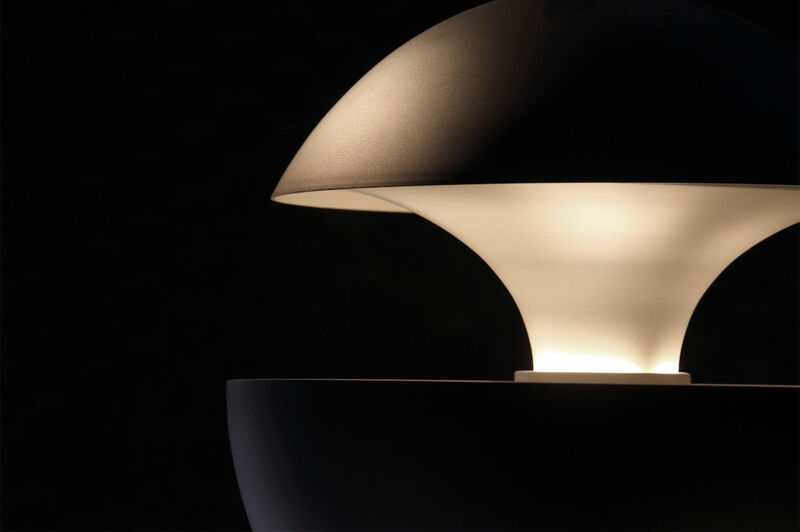 The light bulb is completely integrated in the body of the lamp, creating a perfect symbiosis between the design and the light source. 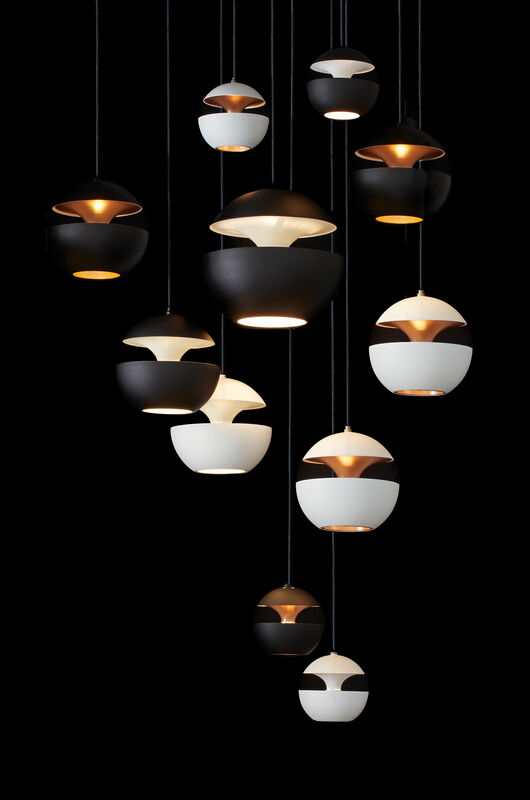 Here Comes The Sun pendants diffuse direct and indirect light at the same time. 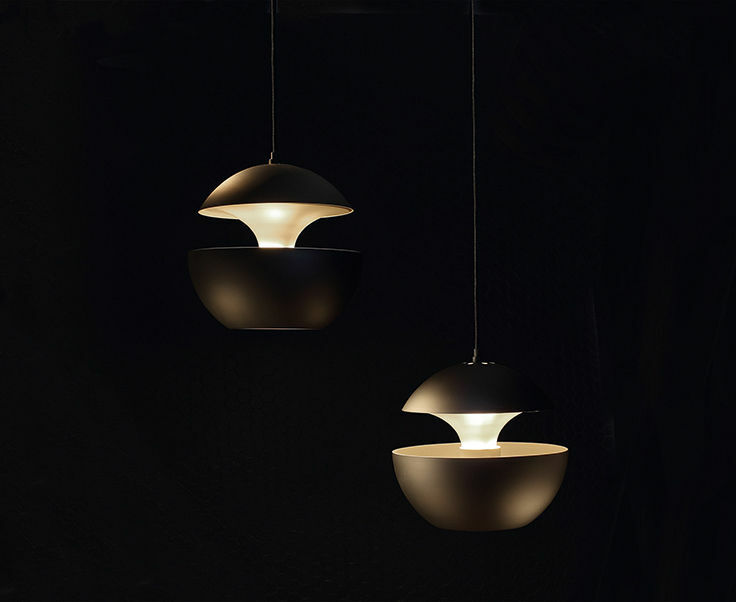 The light is simultaneously directed downwards and reflected in the inside of the shade, creating a halo of light, particularly striking when the night falls. Here Comes The Sun pendants are available in different sizes and can be used solo or grouped together to form a star constellation, a galaxy full of moons and planets.